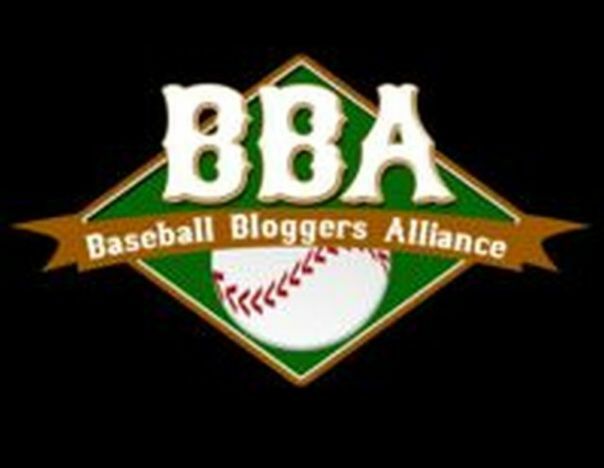 BBBA Live is the flagship Podcast of the Baseball Bloggers Alliance since 2015. BBA Live! is entering its second season. Listen in as AC Wayne and Ricky Keeler of Yanks Go Yard and District On Deck (Nats) welcome in Christine E. of Boston Red Thoughts to the podcast. As always, we’ll discuss all of the evening’s games and headlines. Royals are struggling. The Tigers may be digging themselves an insurmountable hole in the AL Central, and many clubs we thought would contend in the AL, are obviously not playing well. Plus nobody is a better folk hero than Bartolo Colon. Bryce Harper is getting the Barry Bonds treatment and is starting to snap. BBBA Live! is in its second season. Listen in as AC Wayne is again joined by Ricky Keeler of Yanks Go Yard and District On Deck (Nats). Yankees are struggling and may have to reel off a bunch of wins soon or risk being a seller near the Trade Deadline. Meanwhile the Mets are hardly losing at all. BBBA Live! is in its second season. Listen in as AC Wayne is again joined by Ricky Keeler of Yanks Go Yard and District On Deck (Nats). Tonight, we are joined by mlbreports.com owner and BBBA President Chuck Booth. The NL is top heavy. The Astros have had a tough schedule and might be alright. Jake Arrieta is sickly good, and no one should ever pitch to Bryce Harper, who may sign with the Yankees in a few years. BBA Live is the flagship Podcast of the Baseball Bloggers Alliance since 2015. BBA Live! is in its second season. Listen in as AC Wayne is again joined by Ricky Keeler of Yanks Go Yard and District On Deck (Nats). Tonight, we talk about hot stats, the craziness of how good Bryce Harper is. The Mets are clubbing around the Phillies. News all over the league. Ricky Keeler and AC Wayne host the flagship podcast of the BBBA! BBA Live! is entering its second season. Listen in as AC Wayne is again joined by Ricky Keeler of Yanks Go Yard and District On Deck (Nats). Tonight, we’ll showcase the NL East as well as all the latest news and headlines throughout the league Tentatively scheduled, as always: Rich Rivera of Mets Public Record. Tonight, we’ll showcase the NL Central with guest, Daniel Shoptaw (BBA Fonder , of C70 Follow @c70, as well as all the latest news and headlines throughout the league. Tentatively scheduled, as always: Rich Rivera of Mets Public Record. Note from Chuck Booth: Welcome to the BBBA flagship podcast. As the President of the Baseball Bloggers Alliance, I am bringing you quality audio and written work from our members to the MLB Reports. ‘BBA Live’ will be posted on our site on a regular basis. I encourage you to listen to this show. Tonight, we’ll showcase the AL East as well as all the latest news and headlines throughout the league. Tentatively scheduled, special guest: Rich Rivera of Mets Public Record.